South Eastern Health and Social Care Trust has appointed the GRAHAM-BAM Healthcare Partnership, a joint venture between GRAHAM Construction and BAM, to deliver Ulster Hospital’s new £95 million Acute Services Block – currently the largest live healthcare project in Ireland. 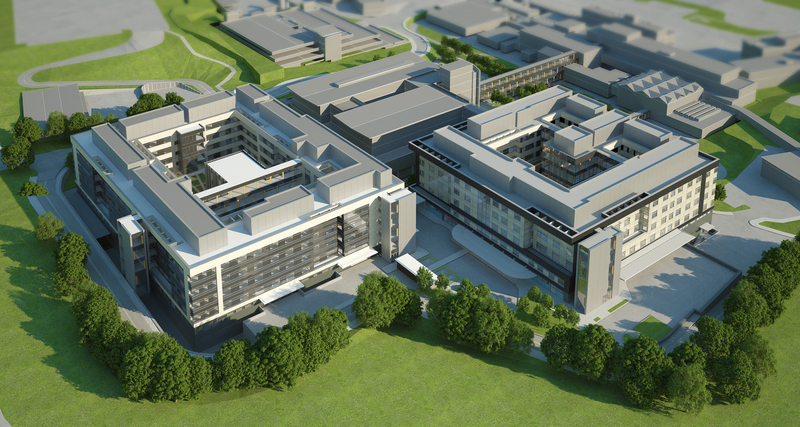 The Acute Services Block is part of the Trust’s wider redevelopment plan for the Belfast hospital, replacing the outdated existing main ward block and other specialist acute services within the wider hospital estate. This building will sit adjacent to a new £86 million ward facility presently being constructed by GRAHAM-BAM Healthcare Partnership on the same complex, scheduled to complete in autumn this year. The GRAHAM-BAM Healthcare Partnership was appointed to the four year, £185 million construction framework in 2013. 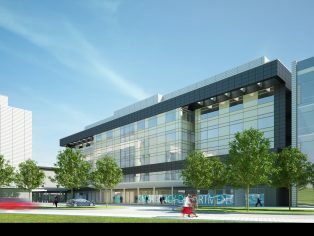 It has now been appointed as main contractor to deliver the second facility – an eight-storey, 31,000 sq m Acute Services Block, incorporating specialist wards, support services, assessment unit, inpatient imaging department, and a new emergency department which will have capacity for 110,000 attendances per year. The scheme has been designed to achieve BREEAM Excellent and will use flat slab construction to integrate the structure with its services and the clinical spaces. 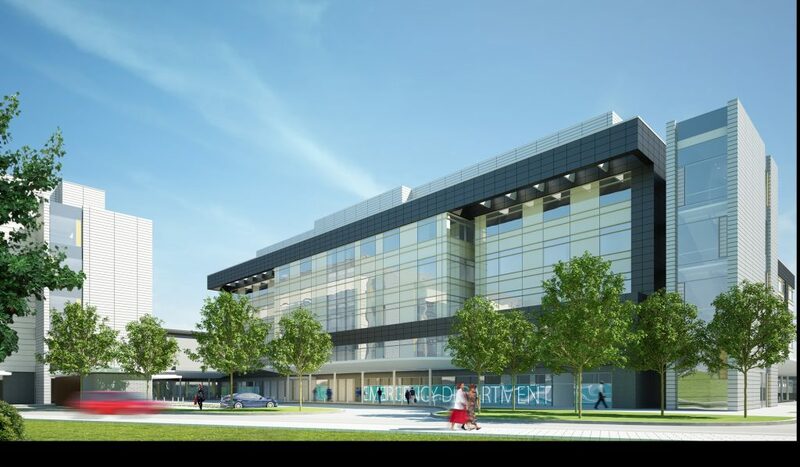 The building’s high thermal mass will reduce operational running costs and the delivery of the structural and acoustic solutions will further support the healthcare services. GRAHAM-BAM Healthcare Partnership is already working on the first phase of the hospital’s redevelopment programme. The current seven-storey new build Inpatient Ward Block will accommodate a procedural area on the ground floor with four upper floors of 288 en-suite bedrooms within 12 inpatient wards. The 30,000 sq m development has been designed to achieve the highest building and infection control standards. It has won several awards, the most recent being the Considerate Constructors Scheme Gold and Considerate Constructors Scheme Most Considerate Site National Runner Up for 2016, and the Green Apple Award.